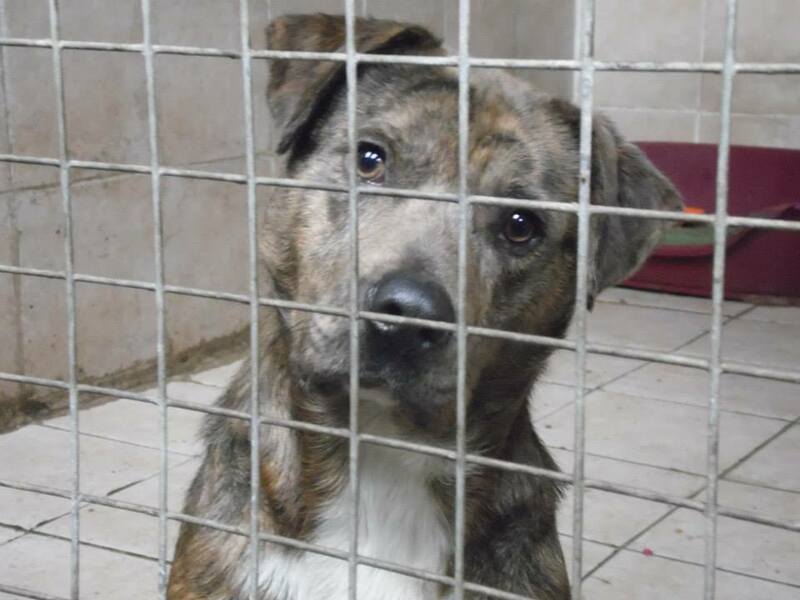 Scooby is a crossbreed with loads of energy. He has been out with other dogs with no problems but because of his energy he needs to be educated amongst them. I don't think he will get any bigger. He has lots of love to give and I'm sure in the right home he will be the perfect addition to a loving family. Scooby can climb so a secure garden is needed. You only have to look at his face to see the character. About 2yrs old If you are interested please contact Wooffles Animal Rescue on email woofflesanimalrescue@hotmail.co.uk If you are considering giving a dog a forever home you will need to come and visit it here at Wooffles bringing along any other furry members of your family. When you choose one it will be noted as reserved while we will carry out a home check. If this is satisfactory a donation of £150 will be required when the adoption is finalised and you collect you new family member. This donation is to help cover running costs plus food and bedding as well as the cost of veterinary treatment, neutering, inoculating and micro chipping the dogs and treating them for fleas and worms. Where possible the dogs will have received all the necessary treatments before re-homing, but not always. It will be explained to you before you take the dog which treatments they have received and what still remains to be done.